The MOST Awards is an annual highlight for the media industry. Not only is it a fantastic networking opportunity with everyone who’s anyone in the media industry attending, but it’s a celebration of the sector’s best-of-the-best in terms of service delivery, knowledge and innovation. The 9th annual MOST Awards ceremony is being held on 14 September 2017 at The Wanderers Club in Illovo, Johannesburg. 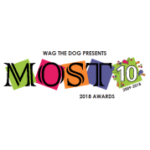 To book and secure a place at the MOST Awards click here – you can submit your completed form online or download and email it to lauren@wagthedog.co.za. 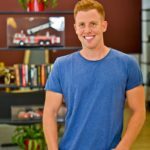 “The event at the Wanderer’s Club was a huge success last year and we expect a similar turnout this year of between 600-700 media owner and agency professionals. We have some surprises and bespoke experiences up our sleeve, but the main attraction is always the winners being announced. We have reinvigorated the research survey and we are looking forward to seeing this years’ results and celebrating with the top-players in our vibrant industry,” says Sandra Gordon, CEO and founder of Wag the Dog Publishers. Discover who the industry’s best Media Agency and Owner are in terms of service delivery, knowledge and innovation. Celebrate in style with this year’s top talent, the Media Agency and Owner Rising Stars and Legends. Experience KayaFM’s single-malt whiskey pop-up. The revamped Wanderers Club provides easy access, secure parking, a classy setting, superb food and efficient service. Be entertained by the masterful comedian and MC, Jason Goliath. Stand the chance of taking home an iconic beaded sheep trophy or one of the spectacular prizes from our sponsors. Winners get to toast each other with champagne courtesy of MediaCom. Hobnob with top media industry players. Reward your team’s efforts by bringing them to MOST. Experience a night you’ll never forget. Voting for the 9th annual MOST Awards has been extended for a short while. To access the online survey click here, or go to www.themediaonline.co.za and look for the “click here to vote” button at the top of the homepage.